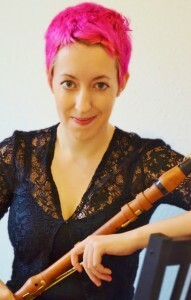 Anthea Wood is one of the leading freelance bassoonists in the UK today and has worked with orchestras, ballet and opera companies from London to Glasgow. Anthea originally hails from Chesterfield in Derbyshire. Whilst a student at Huddersfield University she worked with Stockhausen, Ligeti, MacMillan, Berio and Maxwell Davies. On completing her studies with William Waterhouse at the RNCM she began regular work with Manchester Camerata and the Royal Liverpool Philharmonic Orchestra. Her teaching credentials have stretched to being on the bassoon staff at Chethams, Napier, Lancaster and Liverpool Universities, as well as regularly coaching National Youth Orchestra of Scotland and examining at the Royal Conservatoire of Scotland. Now resident in Glasgow she has worked with every major ensemble. Her freelance work with the BBC Scottish Symphony Orchestra saw her playing principal bassoon at the Proms in 2013 for the Proms premiere of MacMillan’s violin concerto. Her love and knowledge of chamber music has seen her appear with Ensemble 360 (Music in the Round), Goldberg Ensemble, SCO and RSNO Winds amongst others. 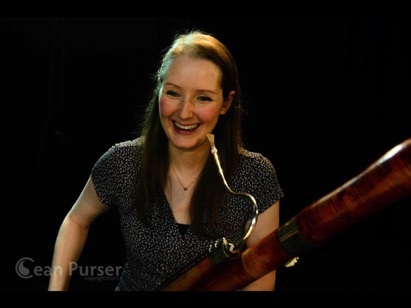 Anthea plays on an early 8000 series Heckel bassoon made in 1938. Its previous owner was the late Manfred Arlen, former Principal bassoon in the RLPO and co-writer (along with Fritz Spiegl) of the Radio 4 UK Theme. 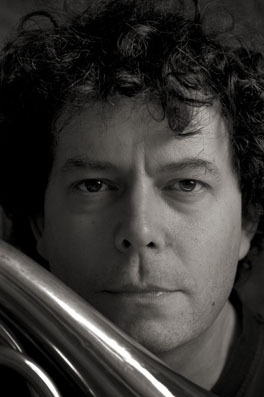 Stephen is a renowned horn soloist with an international reputation as a chamber musician and many acclaimed recordings to his credit. He has had an unusually varied career ranging from perfoming at Carnegie Hall to playing to classrooms of street children in Bombay. A member of several leading chamber ensembles including being a founder member of the Fibonacci Sequence since it’s inception in 1994, and also of Endymion since 1976. He has appeared regularly with the Albion Ensemble in concert and as a coach on music courses over the last twenty years. 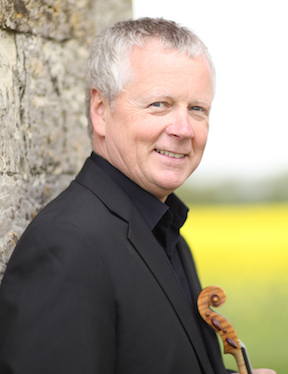 Stephen has broadcast concertos on BBCTV and Radio 3, and appeared as soloist with numerous orchestras including the Academy of St Martin in the Fields and the Chamber Orchestra of Europe. His recordings of Mozart’s Horn Concertos with the City of London Sinfonia are constantly broadcast on Classic FM. The marvelous new Horn Concerto by Gary Carpenter was written for him and the BBC Philharmonic Orchestra and given its world and broadcast premiere in April 2005. Other recent first performances have included solo works by Martin Butler and Stephen Dodgson. 2008 sees the release of ‘Horn’ a CD of rarely recorded chamber works for horn with the Fibonacci Sequence on Deux Elles. This season’s highlights include the Brahms Horn Trio with Angela Hewitt at her festival in Trasimeno, Italy, opening the brand new King’s Place concert hall in London with a horn fanfare and recording the Schubert Octet with the Fibonacci Sequence. Robert is working as a free-lance flute-player with a wide variety of orchestras including the English Chamber Orchestra, BBC Symphony Orchestra, London Sinfonietta, Academy of St. Martin in the Fields, City of Birmingham Symphony Orchestra, Welsh and English National Operas, London Philharmonic, The Philharmonia, BBC National Orchestra of Wales, Bournemouth Symphony Orchestra and the Britten Sinfonia. He is a member of the London Mozart Players, works with Jane Manning’s contemporary music group Jane’s Minstrels, and with the chamber music groups CHROMA and the Galliard Ensemble. Robert has a long-standing duo with the harpist Helen Cole. He studied with Kate Hill initially, and then later with Michael Cox and Sebastian Bell as a postgraduate at the Royal Academy of Music. 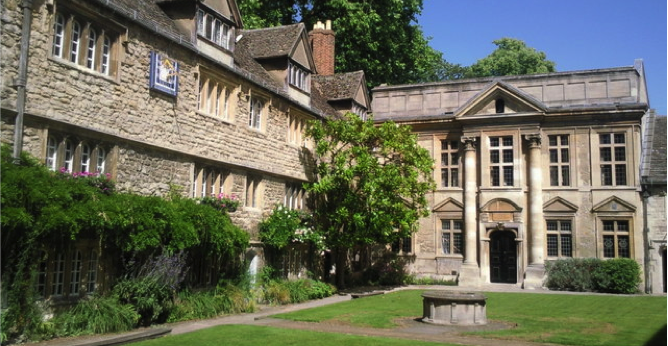 Robert has taught at Dartington International Summer School, for the Royal Academy of Music and at the Junior Guildhall. 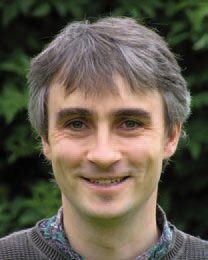 He is a visiting flute teacher at schools in Oxford and Abingdon, and has taught at the Oxford International Flute Summer School. Recordings include the award-winning CD of music by Harrison Birtwistle made in association with the Galliard Ensemble, music by Tony Payne played by Jane’s Minstrels, and arrangements of Beethoven played by the Albion wind ensemble. Robert plays on a nickel-silver Bonneville flute made in Paris around 1890 and when not playing or teaching, enjoys growing and harvesting allotment vegetables. George has toured for the British Council in China, the Far East, India, Egypt, Tunisia and Canada as well as performing in concerts and broadcasts in most European countries. He has recorded for Chandos, Nimbus, Hyperion, Meridian and Proudsound labels with solo and chamber music repertoire. He has been involved in many areas of music education: teaching, devising educational programmes, coaching chamber ensembles, conducting and coaching youth orchestras and teaching. He was appointed a professor of oboe at the Royal Academy of Music in 1984 where he became Head of Woodwind in 1987 and Head of Orchestral Studies in 1991. From 1993 to 2011, George was Principal of Birmingham Conservatoire, UK from 1993 to 2010, and Artistic Director of Classical Music at Codarts Rotterdam from 2011 to 2016. George is currently performing, teaching and researching and is Chair of the jury for the Barbirolli International Oboe Competition 2017. Additionally, George was just appointed interim principal of Royal Welsh College of Music & Drama and will be taking up the post in September 2017. Dr. Marie Ross is the Associate Principal Clarinetist with the French orchestra, Ensemble Matheus, where she performs everything from Mozart on the 5-key classical clarinet to premieres of contemporary works by composers like Guillaume Connesson on the modern clarinet. Marie also performs and records regularly with orchestras like Concerto Köln, MusicAeterna, and the Akademie für Alte Musik Berlin. She frequently performs with superstars like Cecilia Bartoli in the world’s most famous theaters, Théâtre des Champs-Élysées, Theater an der Wien, and the Berliner Philharmonie, to name a few. Marie is a specialist in Harmoniemusik and leads her own wind octet, The Royal Windplayers, in performing arrangements that she has written especially for the group. She can be heard chatting about her performing experiences, interviewing colleagues and artists of various disciplines, and about other topics like her historical clarinet collection on her podcast, Fidelio. Marie earned her Bachelor of Music from the Eastman School of Music where she studied with Jon Manasse. She completed a Master of Music in modern clarinet from the San Francisco Conservatory with Luis Baez before moving to The Netherlands to complete a second Master’s Degree at the Royal Conservatory of The Hague in Historical Clarinet with Eric Hoeprich. She returned to the United States in 2015 to complete her Doctorate Degree from the University of North Texas, where she wrote her dissertation on Harmoniemusik arrangements from the Classical period and how to use them today as a guide for arranging in an historical style. Roger Coull studied the violin at the Royal Academy of Music in London with Trevor Williams, and later Frederick Grinke, and whilst a student was awarded many scholarships and prizes. Chamber music has always been one of his great passions and it was there that he formed the Coull Quartet under the guidance of Sidney Griller. The Coull Quartet was appointed quartet-in-residence at the University of Warwick in 1977, where its members are still actively involved in its music making, and soon established itself as one of Britain’s leading string quartets. The Quartet performs regularly in concerts and radio broadcasts in Britain, Western Europe and the USA and has also toured India, the Far East, Middle East, South America and Australia. 2009 saw their first tour of mainland China and in 2012 the Coull undertook its first tour of Brazil, and was awarded a prestigious New Music 20×12 commission, with composer Joe Cutler, to celebrate the London 2012 Cultural Olympiad. Included in their many critically acclaimed recordings are the complete Schubert Quartets on Upbeat Classics, the complete Mendelssohn Quartets on Hyperion Records (the recommended choice of BBC Radio 3’s Record Review) and a recording of quartets by Walton, Elgar and Bridge which was voted ‘Record of the Year’ by the BBC Music Magazine. The ensemble has a broad repertoire and has retained a strong commitment to contemporary music, commissioning works from eminent British composers such as Robert Simpson, Nicholas Maw and Edward Cowie. One of the Coull Quartet’s most recent recordings (Sibelius quartet and piano quintet) was Editor’s choice in the September 2010 Gramophone magazine. Roger Coull’s years of experience as an orchestral trainer and conductor gained through his work at the University of Warwick, the Tees Valley Youth Chamber Orchestra, and the String Orchestra course at the Canford Summer School of Music have led to many conducting invitations. He is a regular guest conductor of the Guernsey Symphony Orchestra, Associate Conductor of the Beauchamp Sinfonietta, conductor of the University of Warwick String Orchestra, and a regular director of the Helix Ensemble. He is principal conductor of the Warwickshire Symphony Orchestra, and has also conducted the Academy of St Thomas, and the Crendon Chamber Orchestra, amongst others. He also has much experience as a teacher, and has given many masterclasses internationally. 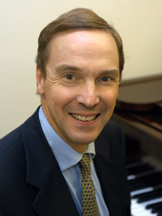 He is a regular guest at Britain’s music colleges as teacher, examiner, and adjudicator and was awarded a Fellowship of the Royal Academy of Music for his services to professional music making. 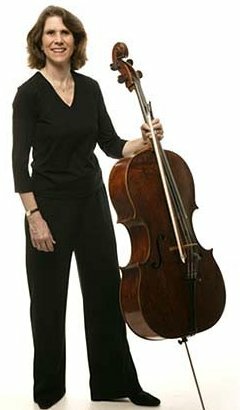 Jane Salmon’s work as a chamber musician and as a recital soloist has taken her to more than 40 countries across the world and has involved her in more than 60 CD recordings, broadcasts for radio and television, festivals and performances in many leading venues. As the cellist of the Schubert Ensemble, winner of the Royal Philharmonic Society’s Prize for Chamber Music, Jane returned to the US in October 2017 and will do so again in March 2018 for concerts in Oregon, California and Minnesota.